Turnberry Tower in 2 sentences: Turnberry Tower exudes excellence and luxury living in every aspect. Known for its generous floor plans, superior finishes, world-class amenities, and views that overlook the most powerful city in the world, Turnberry is one of the most exclusive communities in the entire Metropolitan region. You have heard of the name. You have see the building. Turnberry Tower is not just a condominium, it is an experience. 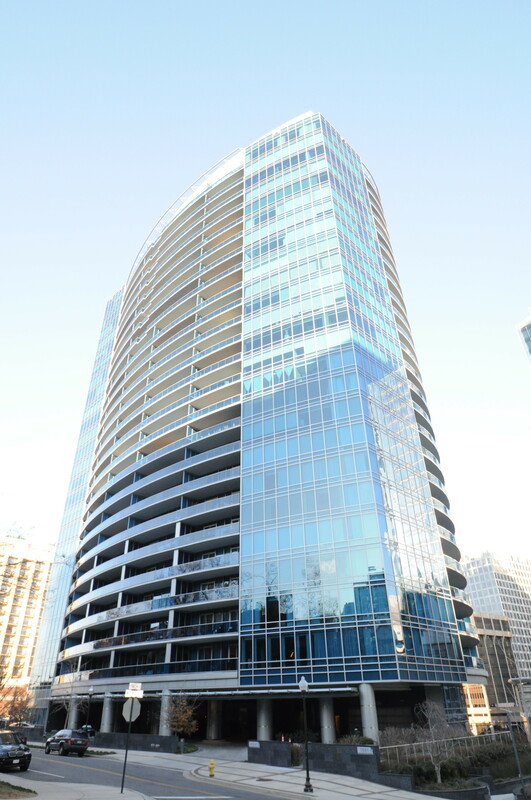 Located at 1881 N Nash St in the middle of Rosslyn, Turnberry Tower Condominium was built in 2009 and is 26 stories tall containing 247 residences. Turnberry is akin to that of a 5-star hotel. The community is loaded with amenities that include valet parking, an indoor pool, a fitness center with a trainer on staff, 24 hour concierge, a social room, and a theatre room. All of this is in addition to the grand lobby that welcomes residents and guests alike. The condos here boast immaculate finishes, high ceilings, and marble floors in the bathrooms. Other features include private elevator entrance, European cabinetry, superior appliances, spacious balconies, and river views for a large number of units. Twelve different floor plans are available ranging from one bedrooms up to larger three bedroom layouts. Common floor plans at Turnberry Tower for sale are usually the smaller two bedroom layouts (2200 square feet) or one bedroom options (1300 square feet). One thing to note is that the floor plans correlate with the floor levels at Turnberry Tower Arlington. The smaller units will be on the lower floors (levels 2-18), while the bigger 2 bedrooms will be on the Penthouse levels (19-25). The 26th floor is reserved for the Tower Suites. Residences on the TS level of Turnberry are extremely rare and range from 2 bedrooms at 3,000 square feet up to 3 bedroom, 5.5 baths at over 6,000 square feet. When you purchase at Turnberry Tower, you are buying into a lifestyle. A lifestyle that cannot be duplicated anywhere else, not even in The District. The views from the balcony’s of the higher units are unequivocally the best views in the entire region. The ambiance is unmatched. And the luxury is second to none. Georgetown is just a 5 minute drive away and the Rosslyn Metro is just 1 block away. For the quality of life offered at Turnberry parlayed with the location, there is no competition.